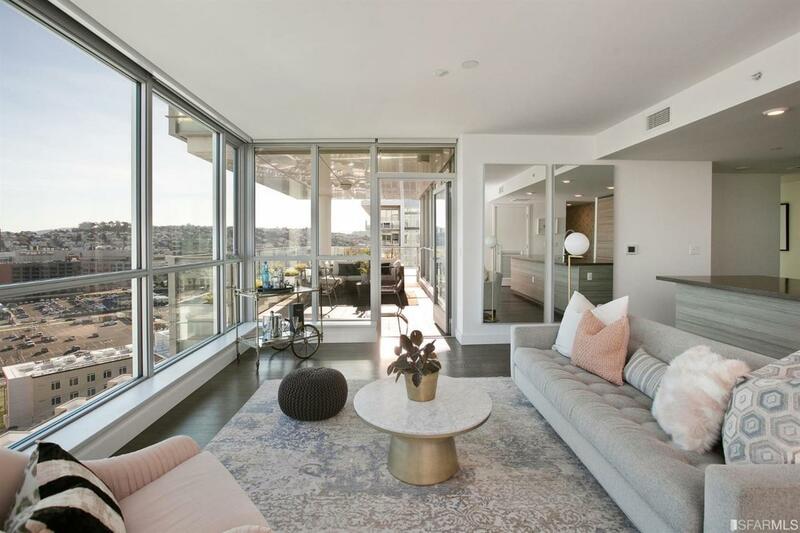 Luxury living at its finest in this rarely available three bedroom/two bath condo at the Arden. 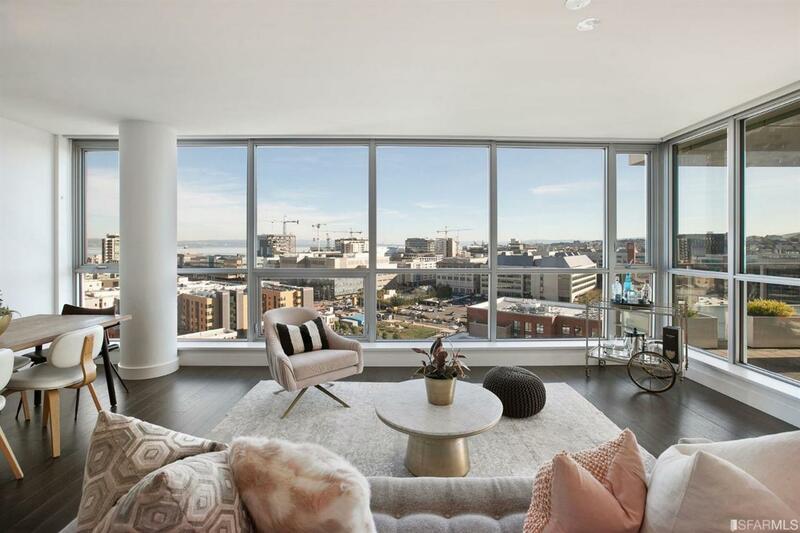 This 15th floor unit is wrapped in floor to ceiling windows, offering views from every room and abundant natural light. 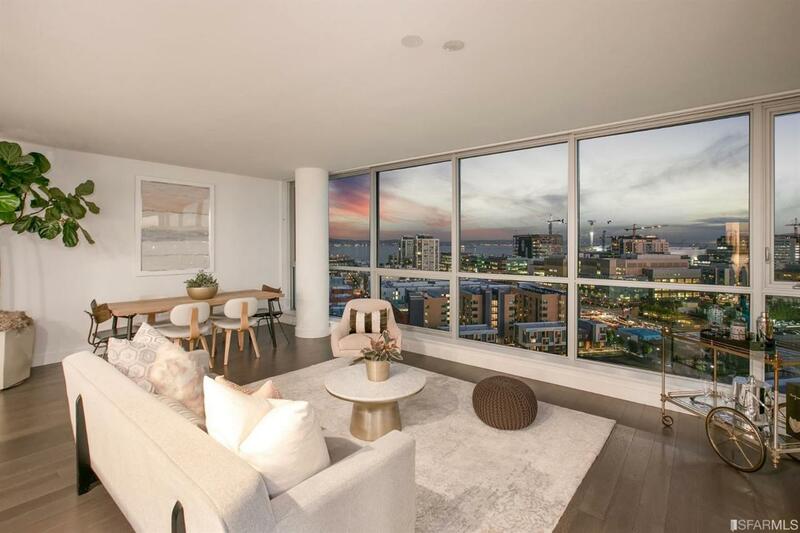 Open living space is complemented by a gorgeous walkout terrace with Southeast views to the Bay. Down the hall, bedrooms include a master with en suite bathroom, and two spacious guest bedrooms (or great office space) with views of Twin Peaks & City, and a guest bath. In-unit amenities include hardwood floors throughout, heating and air conditioning, and a washer/dryer. Arden is a full service building & includes a pool, gym, BBQ area, social room, & 24 hour doorman. 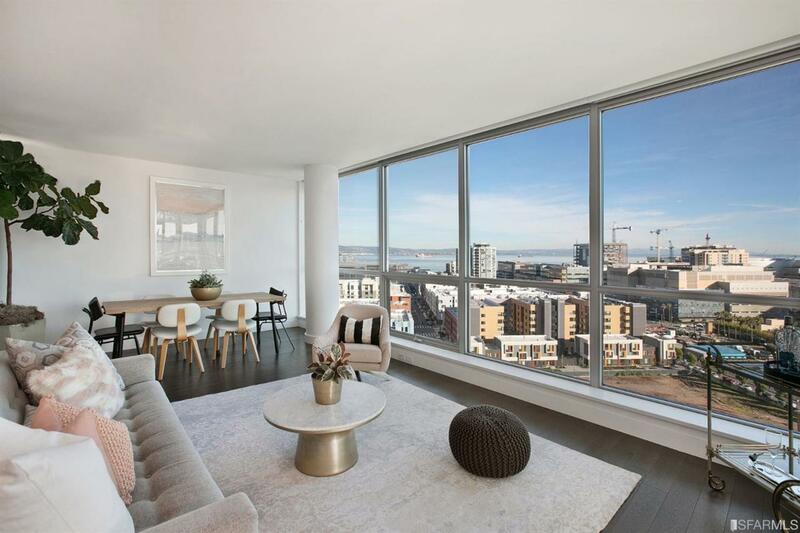 In the epicenter of Mission Bay, Arden is within walking distance to coffee shops, Gus's Market, sports arenas, parks, Caltrain, Muni and abundant tech offices / headquarters.